Summary Mode: One of psumvSumCost, psumvSumPrice, or psumvSumBoth. This controls which columns to show in the grid. Variable1: This is the first PSV or PFV associated with the Grid. Variable2: This is the second PSV or PFV associated with the Grid. Sort By Column: The column that is used to sort (and group) the totals by. Only a single column is allowed. 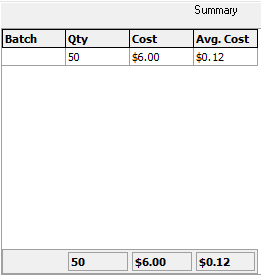 Alt Display Column: If supplied, this column is displayed instead of the sort column. 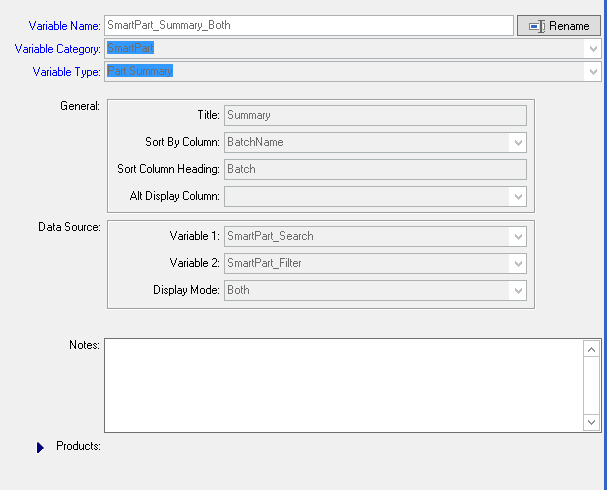 Sort Column Heading: This is the header name for the sort column (or alternate display column is provided). If blank, this defaults to the name of the displayed column . 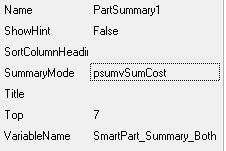 Title: This is the title for the TPartSummary component.